Teaching is truly a noble profession. However, today, turnover rates within the education field are skyrocketing. The teacher career change is becoming very common as educators look for alternative options. 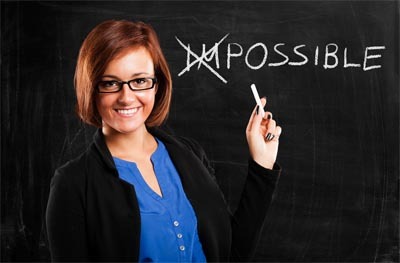 If handled properly a career change for a teacher may not be a arduous task. Fortunately, they have a level of skills and training that is in demand in a variety of alternative jobs and careers. As a teacher, you really have two sets of skills that you can leverage when contemplating a career change. First, there are your subject-specific group of skills — your communication, planning and writing skills, and your professional skills — teaching and training teaching skills. Between those two groups of skills, you have so many possible career options that you’re probably not even aware of. Keep in mind, however, that you are not limited by those skills. If you have the interest, the time, and the expertise, you can switch careers in any direction. If you are high in these abilities, then your change may not require leaving the teaching field altogether. With a few strategic changes and some training courses, a teacher may find they have the qualifications to change what they are teaching. A different subject, school, or age level may be what is needed to put some spark into your teaching career. If your desired teacher career change is more extreme, such as finding a job in private industry, teaching skills are in great demand. The ability to communicate along with the classroom coaching abilities is vital in many interesting jobs. Your choices are really limitless. You now just need to spend the time contemplating the direction of your life — and your next career move. However, I don’t believe your issue revolves around your options necessarily. What is most important is knowing the type of work that you should be doing. Too often, people make a career change into something that ends up equally dissatisfying. If you decide on the teacher career change route, a comprehensive analysis of their Big 3 must be made: their natural abilities, needs and interests. New careers must be researched in depth. This is precisely what we do in the first stage of the Oxford Program of Career Change.